Spicy Smoke Sauced Shrimp is full of sweet paprika and smoky heat. A sauce you can make in 5 minutes, then toss with shrimp and have a warm comfort food dinner on the table in 20 minutes! Im super excited about todays recipe for Spicy Smoke Sauced Shrimp as its from a friend of mines website Life Currents. Sometimes instead of creating new recipes its fun to try out others to broaden my horizon. 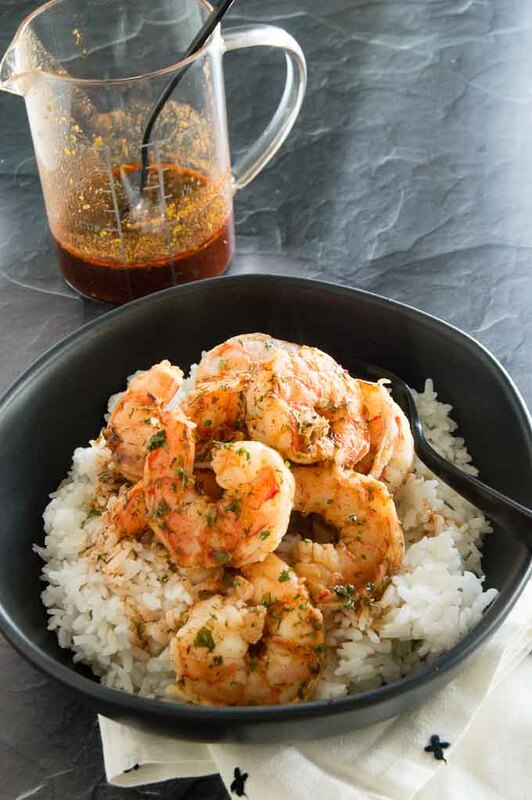 I chose to make her Spicy Smoke Sauce recipe which you can find here but I made it with shrimp and served it over a nice hot bowl of rice for a comfort food meal my family loved! I have partnered with a bunch of my blogger friends for what they call Freaky Friday! We all swap names and then get to make a recipe from the site of the blogger we drew to to share with our readers. Its a great way to show to you about other content creators that you might never have come in contact with! This edition of Freaky Friday was the Winter addition which in my world means eating comfort food but a little bit healthier while making sure that we still have great flavors to enjoy!! Why you should check out Life Currents? You’ll never want to buy a store-bought dressing again because she has so many delicious homemade ones that are so much tastier (and made with real, not bad for you ingredients) Here is a link to see all of the condiments she has recipes for! You’ll get tips for healthy living. Debi also does what she calls ingredient research where she explains about so many fun things saving the lemons from summer for winter use, all about the different types of avocados and understanding the difference between using a blender versus a food processor! Life Currents has so many great recipes to try and all of them use real ingredients. She also has a huge selection of vegetarian offerings that all sound very tempting and I have several on our list to try very soon. We love meat, but have been trying to branch out to try all sorts of new things! 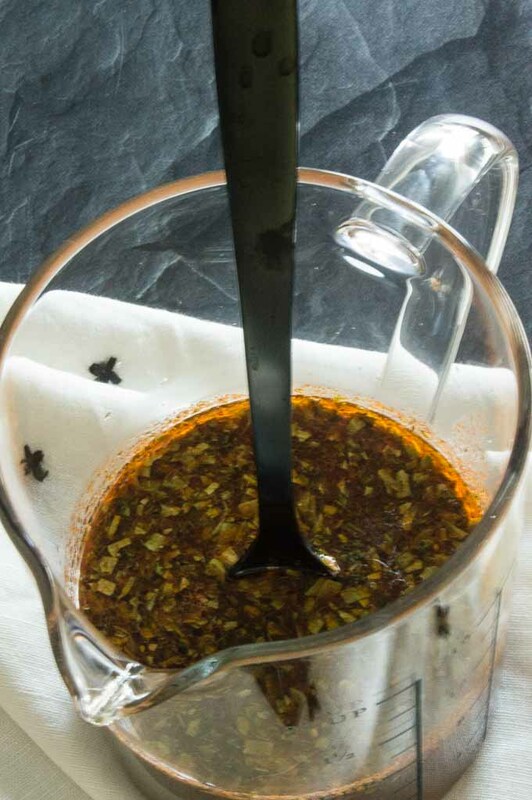 Spicy Smoke Sauce is a sauce you will have all of the ingredients in your cabinet for. It works on so many things. Since I tried the sauce we’ve used it for a marinade for chicken as well as a mop for some spare ribs I made. The paprika and the liquid smoke give anything you add it to a very deep rich flavor. Its as simple as making the sauce then sautéing the shrimp and mixing the two together atop of rice? I mean how quick a meal is that? My tip for this sauce is to make it in bulk to so you have it when you need it at a moments notice! While you can make it super quick, when I made it for the rib mop I was so happy to just be able to pull something out of the fridge to use it right away. 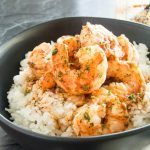 I chose to use the Spice Smoke Sauced Shrimp over rice becasue I didnt want to waste any of the sauce, the rice absorbed any of the additional sauce so we could eat every last drop! 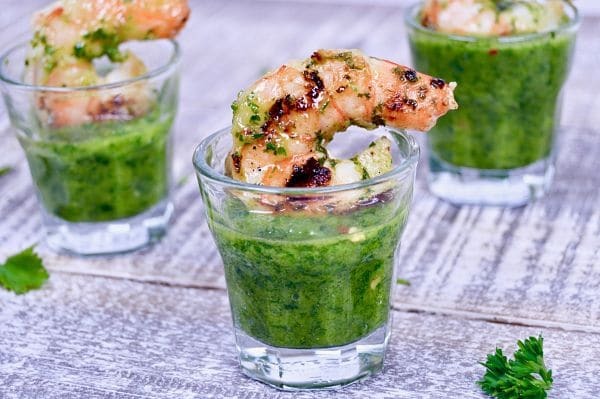 Are you looking for more shrimp recipes? or other flavorful marinades? Check out the recipes from my site below! CHECK OUT THESE OTHER RECIPES FROM FREAKY FRIDAY WINTER EDITION TO SEE MORE GREAT RECIPES YOU MIGHT ENJOY! Place all ingredients in a small saucepan and heat over medium-high heat until all ingredients are combined, about 5 minutes. Remove from heat and set aside. Rinse and pat dry peeled and deveined shrimp. On the stove top heat a skillet to high. Once pan is hot, place olive oil into pan and swirl. Add shrimp to pan, leaving room in between. Cook shrimp for 1 minutes, then flip. Cook 1 mins more then add sauce to the skillet and cook until shrimp is cooked throughout .... about 2-3 minutes. Serve shrimp and sauce over white rice immediately. Mmm shrimp! I love shrimp so I know I would make this in a heartbeat! This sounds like such a flavorful meal! I love how easy this is to make! 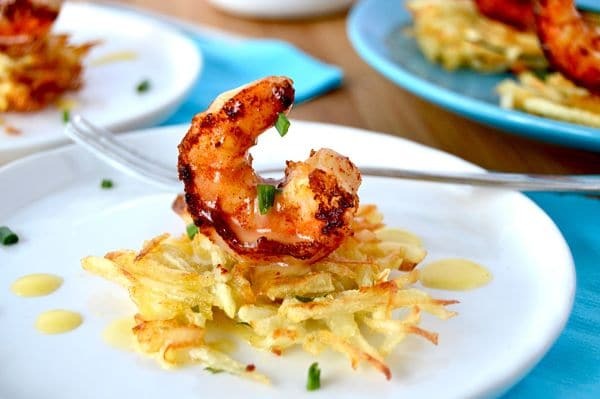 We love shrimp around here, can’t wait to give this recipe a whirl! Looks simply delish! 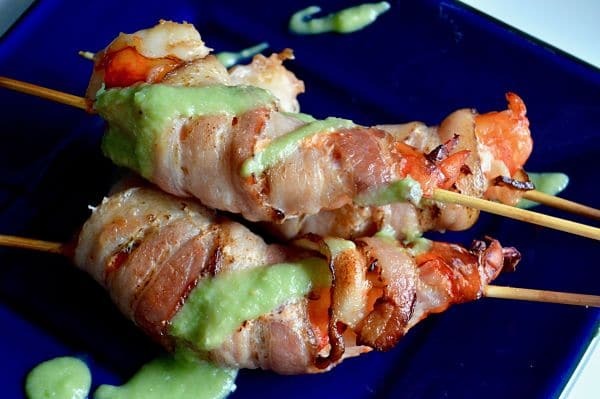 I love shrimp and this sauce looks perfect!! Donner in 20 minutes?? I am IN!! Thank you for joining us for Freaky Friday!! I am in awe of the number of sauces and condiments she has on her site! So many! I love the smoky and heat with some shrimp. Shrimp really go with so many sauces but they hold their own! I can see these on a Po Boy! Ooh, this all looks fab and that sauce sounds insanely good. Oh my goodness… I can think of so many uses for this sauce! And the first one is with shrimp over rice – just the way you have it here. It looks incredible! This recipe is definitely going on my short list. I can’t wait to try it! This looks like a fabulous dinner…especially since it’s so easy!!! And your pictures are beautiful! I’m all over this shrimp dish! Serving as an appetizer and I think I’ll double the sauce so we have have this for dinner later this week too! I love Debi’s recipes and what you did with her sauce! Dinner in 20? Im in!! the sauce sounds incredible with all that flavor going on!! Definitely printing the recipe to make these shrimp very soon! This sauce is a house favorite! We’ve used it on all kinds of dishes! I’m glad you loved this one and chose to share it! I also love how you served it in such a nice easy way! Cheers to you and Freaky Friday! I love all of these flavors! And it’s a quick recipe. Love love! I am putting this on the menu for sure! What a versatile sauce! I love that you chose to make it over shrimp. It looks fabulous! You picked an amazing recipe to share! I love a quick and easy meal I can get to the table asap. This shrimp looks delicious, what an amazing dish! 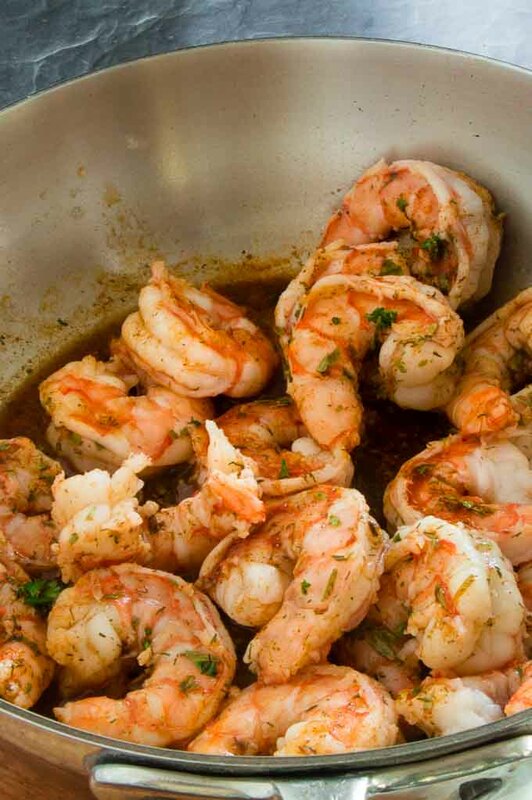 This sauce sounds amazing and using it with shrimp sounds so quick and easy. And even though shrimp is so easy to make, it always feels like a fancy meal to me! I love easy recipes like this! That shrimp looks so flavorful, plump and delicious! That sauce is gold! Thanks for sharing!! !